Take on any challenge that comes your way with the Venture Multi-Purpose. This machine redefines versatility. 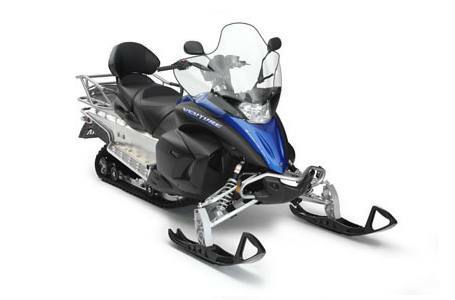 A Genesis 80FI 4-stroke engine provides lots of power and torque, Ripsaw track puts that power to the ground, and wide VK-type plastic skis keep your front end out of the deep stuff. 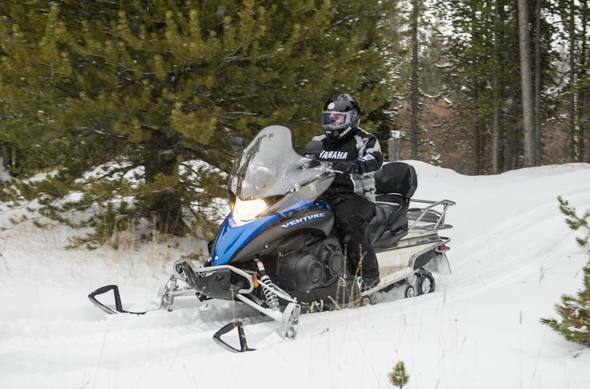 The Venture Multi-Purpose is full of Yamaha Advantages for your light-duty utility and off-trail fun. Free-Revving Power: Feel the benefits from 50 years of Yamaha engine technology with the Genesis 80FI four-stroke twin; instant throttle response, plenty of torque, and industry leading fuel efficiency and durability. Rider Forward: The new rider-forward seating position helps to isolate you from the bumps, providing a new standard in ride quality. Wind Protection: Stay protected from the elements with a large, molded windshield that features a deflector lip to keep touring riders in a cozy cocoon. Hassle-Free Starting: Don't struggle with a pull cord; just turn the key and go! 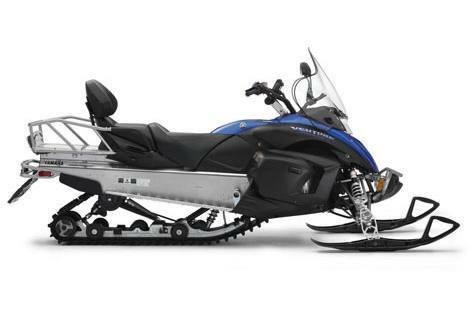 Electric starting is standard on all Yamaha four-stroke snowmobiles. Large Gauge: Large read-at-a-glance gauge cluster monitors speed and engine performance. Multi-functional design shows hand and thumb warmer settings as well. To insure exceptional reliability this all new 4-stroke engine features a special 'knock sensor' system that continually monitors and compensates for low octane or poor quality fuel. Wide and sturdy front bumper. To insure exceptional reliability this 4-stroke engine features a special 'knock sensor' system that continually monitors and compensates for low octane or poor quality fuel. 16 x 144 x 1.25 in.